I really like "year of" books, and I read pretty much any one I come across that has to do with a spiritual topic. This particular book actually isn't like the others that I've read, such as the Year of Living Biblically book that was all the rage a few years ago. 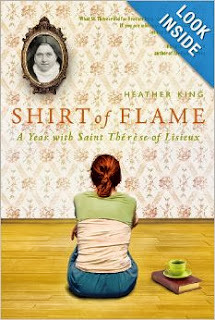 Rather than chronicling a physical year in the life of the author, this book sets major events and chronological spiritual challenges in *St. Therese's* life around a calendar year, although it does sound as though Heather King spent a year contemplating these themes. So it's different in that regard. And in this case, different is good. 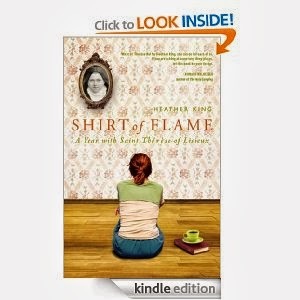 Heather King is a wonderful writer, I'm really a big fan of hers. She has an engaging and personal style that draws me in every time. She has a very interesting background which always factors into her writing as well. She's an adult convert to the faith, she was married previously but is now single, and she is a recovering alcoholic. The suffering that she has experienced brings a a rawness that we can all relate to into her writing, and she is very genuine in her expression of emotion regarding these challenges. Throughout the chapters, the author does an absolutely excellent job of quoting St. Therese's writing directly. I felt like I read a nice little collection of segments from The Story of a Soul just by reading this book. The author also weaves in relevant details from her own story to flesh out the theme, and the reader can see how the struggles of St. Therese's nineteenth century life are very much still relevant for modern Catholics. There were even some details in here that I hadn't known previously about St. Therese, particularly a few tidbits about her time in the convent and about the progression of her illness. The author is drawing from additional biographies of Therese that I haven't read, and I am now quite taken with the idea of reading some of those. I have a few on my "soon to be downloaded" list for my Kindle. I read this book very quickly. It contained a lot of spiritual wisdom that I'm *still* thinking about, but the style is so accessible that it's an easy read. I highly recommend it for anybody who enjoys reading about the saints. For anyone that *has* read the book - please leave a comment! Ok! 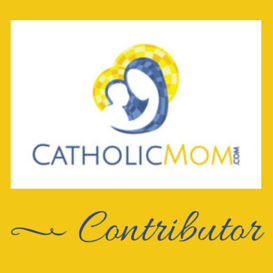 Our November book is In Him Alone Is Our Hope, written by Pope Francis when he was still Jorge Bergoglio. It's a retreat he gave based on the Spiritual Exercises of St. Ignatius. A nice preparation for Advent, I think. Join in! Then we'll be reading A Catholic Christmas in December, and in January I though it would be fitting to study Our Blessed Mother a bit, and so our book for that month is Walking With Mary: A Biblical Journey From Nazareth to the Cross, by Edward Sri. I received a copy of this book at the CNMC, so it has happy nostalgia written all over it, plus in January we celebrate the feast of Mary, Mother of God. Happy reading and commenting everybody!